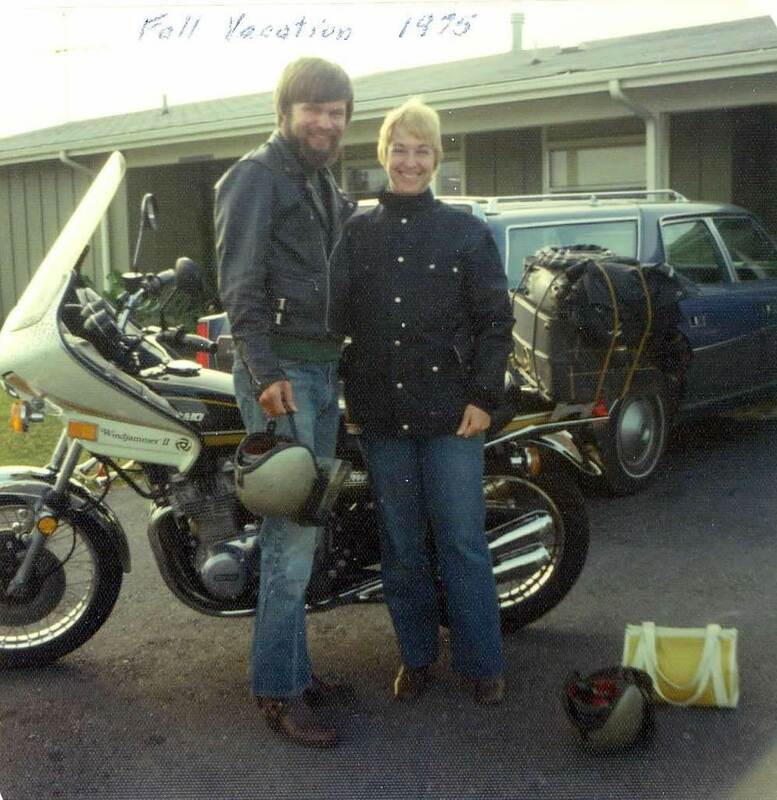 In January, 2019, Wes Rutt began to unfold his story of motorcycle riding with his wife, Nicki, on several continents and over 50 years. 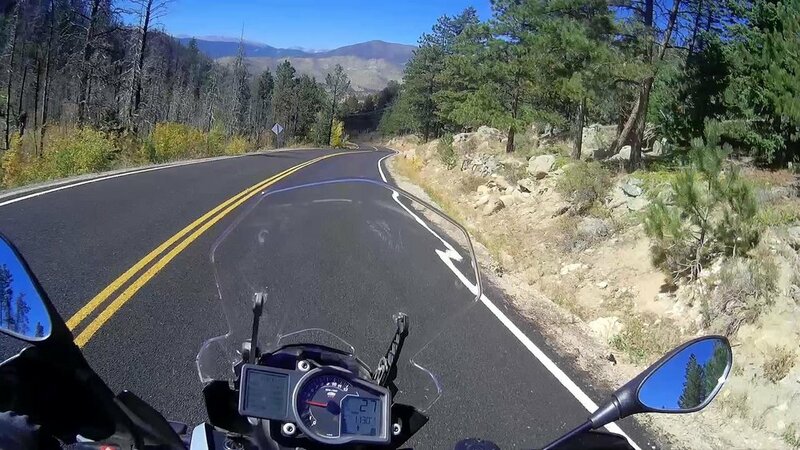 He ended the first part of his tale with the destruction of their trusty bike in the High Park fire, both of them assuming their motorcycling days were over. But it turned out that more adventures awaited them after all. We were physically beginning to slow down by the time of the fire. Reflexes weren’t as quick. Sitting on a motorcycle saddle for hours day after day would have left us hobbling around in pain. We told ourselves that losing the bike was probably a sign that we had had a great run but it was time to be realistic. It would be silly to press our luck. We decided that it was time to sit back and enjoy the many fond memories of our past adventures, so we did...for a while. A few years after the fire we were in Chile returning from the Patagonian International Marathon (an adventure for a different story). Sitting in an airport waiting for a connecting flight, I struck up a conversation with a gentleman from New Zealand who was wearing a T-shirt that advertised an “Adventure Motorcycling” trip. He explained that he was returning home from eastern Europe where he had been on a motorcycling tour. I told him that my wife and I had traveled rather extensively by motorcycle over the years and asked if there was anything special about “adventure motorcycling”. He informed me that in the last few years a few motorcycle manufacturers had introduced bikes that handled as well off the road as on it, so motorcycle tours could now reach more locations that were impossible to get to on ordinary road machines. I was intrigued because: 1) some years before we had visited Chaco Canyon National Park in New Mexico and had to travel several miles down a very rough washboard road. We literally shook the headlight and one of the turn signals off our road bike before reaching our destination; 2) I was starting to feel the wind in my hair and the bugs in my teeth while hearing about the New Zealander’s tour. When we returned home I couldn’t get “adventure motorcycling” out of my mind. I started researching the topic and discovered that the two most highly praised manufacturers of adventure bikes happened to have shops in Loveland. Nicki has always been the (slightly) more practical member of our partnership, and we had already made a perfectly rational decision to retire from motorcycle riding so I straightened my hair, swallowed some imaginary bugs and determined to be rational. A few weeks later, however, we were picking up some art in Loveland and, as we just happened to be driving by one of the bike shops, I mentioned that it might be fun to drop in. Just to look, you understand. So, although it was a cold, cloudy November day and certainly not conducive to motorcycle riding, we stopped in at Elite Motorsport, the KTM dealer. Roger, the owner, who is about our age, asked if he could show us anything. I said that our last bike was destroyed in the High Park Fire, that we were too old to start riding again, and we were just there to “look.” Roger nodded knowingly. Of course, as motorcyclists do, we spent some time swapping stories with Roger of riding adventures. When I mentioned that we had purchased a motorcycle from Elite Motors in London in 1970, he eagerly replied that in 1971 he too had purchased a motorcycle from Elite Motors in London...same shop and owner.One thing kept leading to another, and Roger ended up giving us such a good deal on a bike, a bike that we had rationally decided we didn’t need or want, that we, now in our 70’s, became the proud owners of a brand new adventure motorcycle. Unfortunately, having a shiny new machine in the barn didn’t do much to reduce our physical infirmities. Some days just swinging a leg over the saddle was an iffy proposition. However, having a motorcycle in the barn again seemed to improve our mental outlook dramatically. Instead of dwelling on memories and starting to feel “old,” we began to plan new adventures. We thought back on what we enjoyed most about our motorcycle trips. What we particularly enjoyed was the anticipation of going somewhere new, the people we would meet along the way, the new things we would discover, and, since this is a story about aging, reliving memories. So how could we enjoy those things again without spending so many weeks and thousands of miles on the bike? In 1970 when we took our first long trip, there was no internet, there were no cell phones, and good cameras were bulky, hard to carry on a bike, and they required lots of film. We often didn’t do a very good job of recording our adventures. Nicki’s sister recently found some old postcards we had sent during some of our trips. They described adventures and discoveries we had almost completely forgotten about. It seemed to us that if we were going to embark on a new set of adventures, we might as well make some use of our hard-won experience and avoid making the same mistakes over again. What we had to do is figure out how to take trips on our new bike that would take advantage of our maturity and experience, provide us with a little more of that adventure we so fondly remembered, and, this time, do a better job of recording everything to help us relive those memories in the years to come. Fortunately here in Colorado we don’t have to travel far in order to enjoy some of the best scenery anywhere. To add frosting to this cake, Colorado is loaded with fascinating history that can make that scenery come alive. We decided that the best way we could experience adventure motorcycle riding at our age would be to research local history and take relatively short trips, stopping often to relieve aching joints and, at the same time, relive the history at sites that might be overlooked by many travelers. But this time we wanted to do a better job of recording what we experience and discover. So we have created a YouTube channel to record our adventures and store our memories. We have just published our first adventure: Adventure Motorcycle Trip #1 - Laporte Loop. Now I understand why it can take years to produce a movie. This is complicated, but we have no timetable or deadlines to meet. As with our earlier adventures, and perhaps life in general, it is more about the journey than the destination. Wes Rutt is a runner, biker, and woodcutter who spends his free time as the Outreach and Education Chair for the Colorado Tree Farmers. Each year makes me more aware of distinct choices for living with aging. One choice is to welcome the inertia of reduced energy and meager responsibility: Make no non-medical commitments that can’t be easily broken, avoid engaging in reading or interacting with anything or anyone that is mentally challenging, make exercise a matter easily dismissed, disengage from issues beyond my constricted circle of activity, ignore activities that excited me in the past, rationalize and excuse indulgences, become gradually more secluded except for being merely a spectator. In this mode, lethargy spreads like spilled syrup on a pantry shelf: invasive and hard to get rid of; the mind and body become dull and sluggish. As a minister, family therapist, and addiction therapist, Clay conducted groups for over two decades designed to facilitate positive change in attitude and behavior. In 2008 Clay published a book entitled Older, Wiser…HAPPIER: 10 Choices for Rebooting Your Life at 50+. He has used the book as a text for more than twenty pro bono multi-session workshops in senior centers, churches, and libraries for groups who wanted to address issues related to aging. Since his retirement to Loveland in 2012, Clay has continued his pro bono senior project in local area senior centers and churches. Rabbi Zalman Schacter-Shalomi’s 1995 book, From Age-ing to Sage-ing: A Revolutionary Approach to Growing Older, has proved so helpful to so many since then as to have become part of a movement across the county. It describes a process which might be described as occurring in three acts, based on the fact that while everyone ages, not everyone sages. Some might think this development is like the grandchild, when observing her grandmother reading the Bible more often, asked, ‘Nana, are you cramming for the finals?” Rather the Rabbi defines spirituality as ‘expanding one’s consciousness.” Certainly, anyone of any age who becomes increasingly aware of his or her awareness grows wiser. The Rabbi describes this part of the process by asking the question, ‘Have you been saved?’ By that he means doing so electronically – by writing your story, and/or reflections upon its meaning, then saving it on the computer or speaking it into a recorder, as part of your legacy. The death scene is suggested by the title of Margie Jenkins’ book, You Only Die Once. That fact suggests that we do what we can to spare our survivors unnecessary grief by having our affairs in order – from preparing a will, and perhaps a living will, to providing a list of those to be notified, with contact information, along with user name/passwords of agencies and businesses which need to notified. Also it is fitting to prepare a draft of one’s own obituary, as a way of indicating what one would want to be remembered for. A written description of what Jenkins calls “your going away party,” i.e. your preferences for a memorial service’s participants and setting, as well as a reception afterwards, is in order. 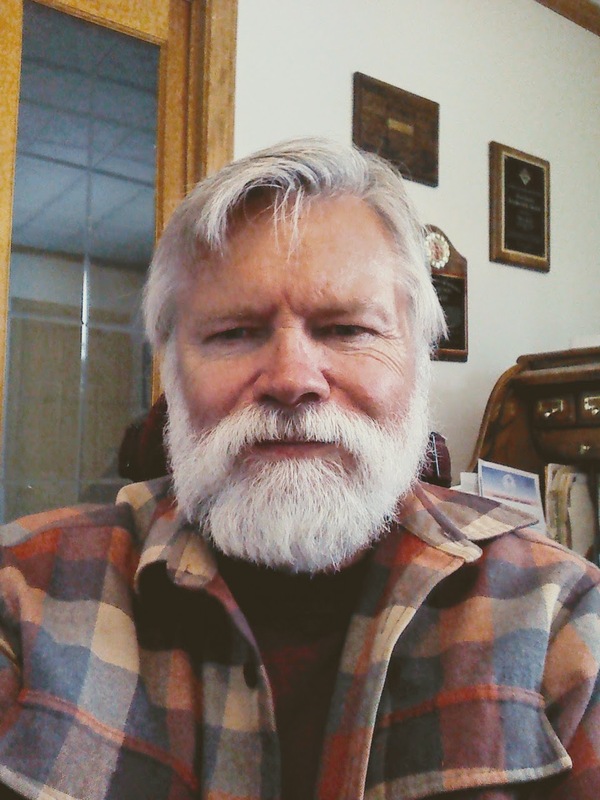 Rich Thompson is a retired Presbyterian minister and past president of the Fort Collins Interfaith Council. 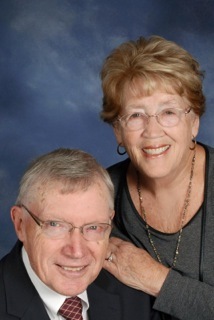 He recently retired from the board of Faith Family Hospitality. 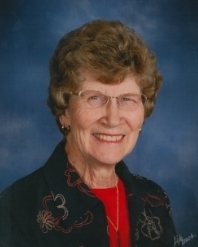 He is married to Jane, a retired school librarian active in the League of Women Voters.